The best way to get to know a community is by scheduling a tour. See the facilities, meet the staff and residents, and get a feel first hand what it's like to live at New Perspective | Howard Assisted Living. New Perspective of Howard offers 85 apartments for independent or assisted living (RCAC). 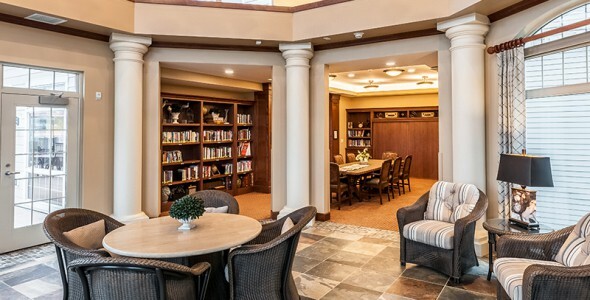 We have a continuum of care with two options in our 46 rooms of a CBRF/memory care; an unsecured area for higher physical care needs or early stage dementia and a secured area for residents with elopement risks. Forty five percent of our building is common area for our residents to be active and social. This includes a restaurant style dining room, a pub, dance hall, library, sun room, warm water pool, rehab/fitness center, massage therapist and two salons. We have underground, heated parking and outdoor patios on two levels. In addition, most of our apartments have their own patio or screened in porch. Our memory care boasts two beautifully landscaped secured courtyards for residents to get fresh air.